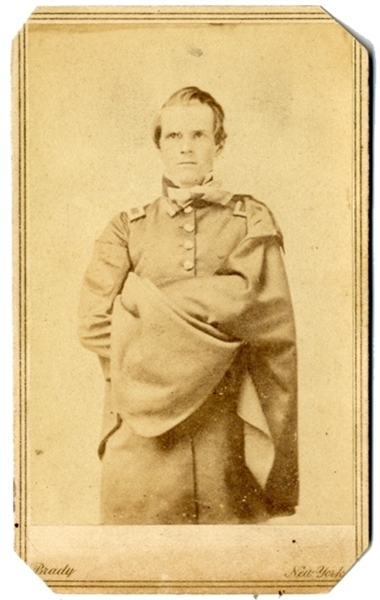 Carte de visite of West Point graduate and Fitz Hugh Lee’s West Point classmate/friend William Gaston, who was an officer in 1st United States Dragoons and was killed in action against hostile members of the Spokane Indian tribe on May 12, 1858. Fort Gaston, Hoopa, Humbolt Co. Cal., (1858-1892) was named in his honor. Brady backmark. Clipped corners, else very good condition.